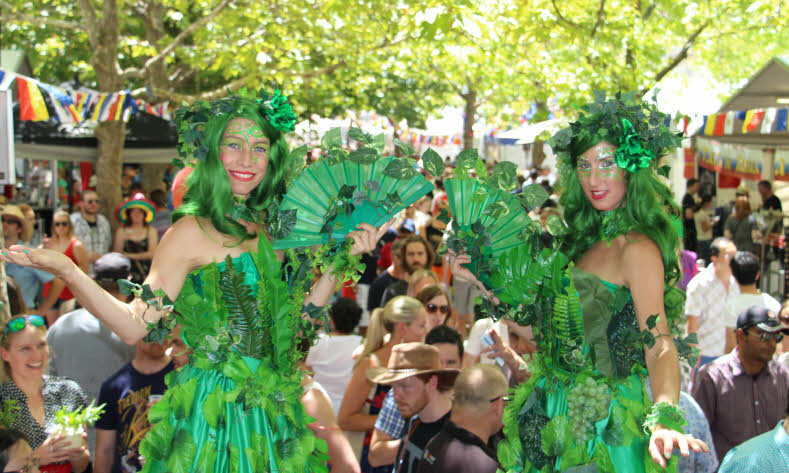 ​RFA photos above and below: The famous tree ladies welcoming hundreds of thousands of people to the Canberra Multicultural Festival 2015 in the city centre. The National Multicultural Festival is one of the largest and most popular multicultural festivals in Australia. As Canberra is home to embassies from almost every country in the world, there is a great many cultures to be represented. The Philippines always puts on a great display every year at this festival, so be sure to visit the Embassy stall, and say hello to the wonderful and friendly Ambassador, as well as her professional and hard working diplomats and support staff. Philippine Ambassador to Australia, Her Excellency Minda Calaguian-Cruz in her office at the Philippine Embassy of Australia near Capital Hill. 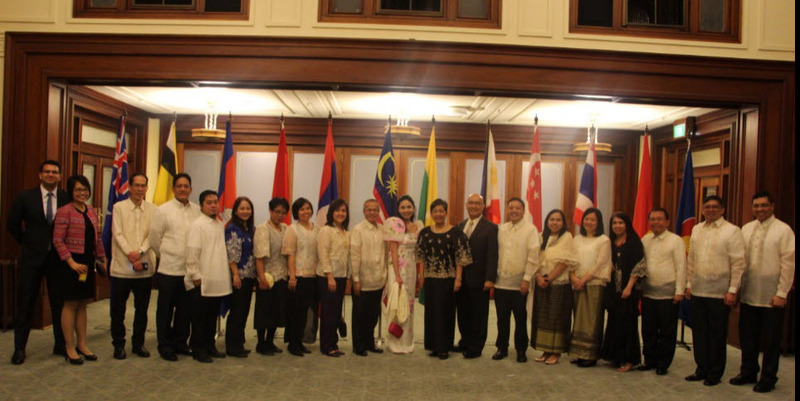 ​The professional and friendly staff and family members of the Philippine Embassy of Australia inside Australia's Old Parliament House for a celebration of ASEAN (Association of Southeast Asian Nations) Day 2016. ​Kate Ceberano, Australia's Famous Songstress, of Filipino Descent, will Headline the Free Concert. ​The popular Australian 'A' grade celebrity of Filipino-Australian descent, Kate Ceberano, will be performing on Stage 1 for the headline singing performance. Check your schedule and times on the Internet for this great Australian event which will be held over three days, 17th to 19th February 2017. ​Kate Ceberano singing at Australia's premiere sporting venue to a crowd of over 100,000 at the Melbourne Cricket Ground (MCG) for the Australian Football League (AFL) Grand Final. Dancing girls at a previous Canberra Multicultural Festival on one of the many festival's stages. ​Just one of the large crowds at a multicultural festival stage in Canberra at night. The festival runs over 3 days - Friday to Sunday - from early in the morning to late at night. Australian Capital Territory (ACT) residents, surrounding New South Wales (NSW) Capital Country residents, guests from Australia and around the world know how to have a spectacular party.